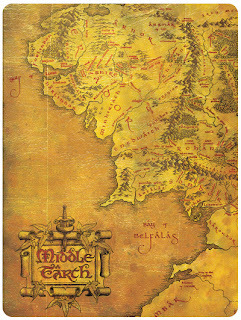 Cryptozoic Entertainment™, a premier developer of original and licensed games including The Big Bang Theory: The Party Game, and Warner Bros. Consumer Products today announced another expansion of the companies’ existing partnership for The Hobbit: An Unexpected Journey and The Lord of the Rings trilogy to include a deck-building card game based on the blockbuster franchise The Lord of the Rings and its iconic characters. 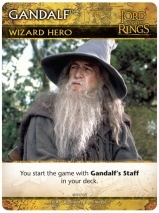 Launching this winter in hobby and retail stores, The Lord of the Rings: The Fellowship of the Ring Deck-building Game invites players to assume the role ofFrodo, Gandalf the Grey, Aragorn, or one of their brave and heroic allies in the struggle against the forces of the Dark Lord Sauron. Players begin this battle armed solely with basic combat maneuvers. As the game progresses, they can add new, more powerful cards to their decks, striving to defeat the deadly forces that serve Sauron as they trek towards Mount Doom. The deck-building game adds to Cryptozoic’s line-up of games based on the original The Lord of the Rings film trilogy. The Lord of the Rings: The Fellowship of the Ring Deck-building Game will be available for purchase at hobby and mass retail stores in winter 2012. 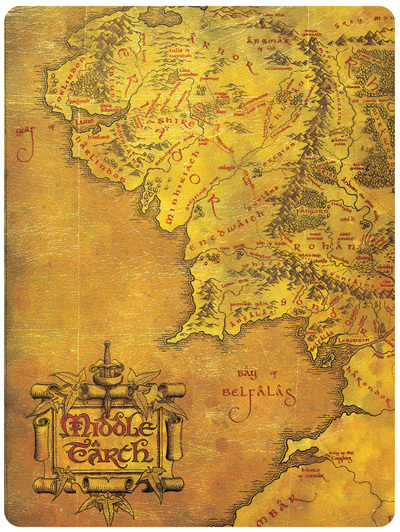 For more information about The Lord of the Rings: The Fellowship of the Ring Deck-building Game and other games by Cryptozoic Entertainment, please visitwww.cryptozoic.com. Keep up to date with exclusive contests, promotions and game information on Cryptozoic Entertainment’s Facebook and Twitter pages.